Congratulations to Devonshire Windows on winning the Truedor ‘Installation photo of the month competition’ for October. 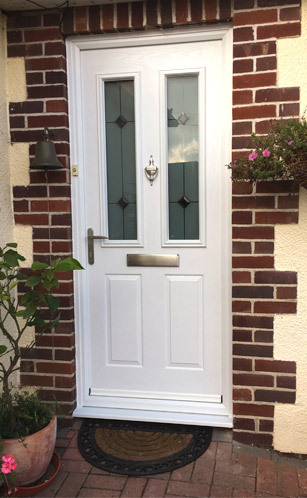 Devonshire Windows installed the white Cezanne door into a property which it was perfectly suited to, with great brick features and matching colour render to really set it off. Commenting on the winning photo, Sales and Marketing Manager for IG Doors Trade Division Richard Kirman said “It is one of the many great advantages of Truedor that we have styles of doors which perfectly match every property type, and this is a great example”. “I would like to encourage all installers to enter our monthly competition – it is not just great for them but great for Truedor as a whole that we can show potential consumer customers so many great installation shots”. “It will benefit everybody in the long term if we have a really extensive portfolio of photographs showing every door type and every property type”.